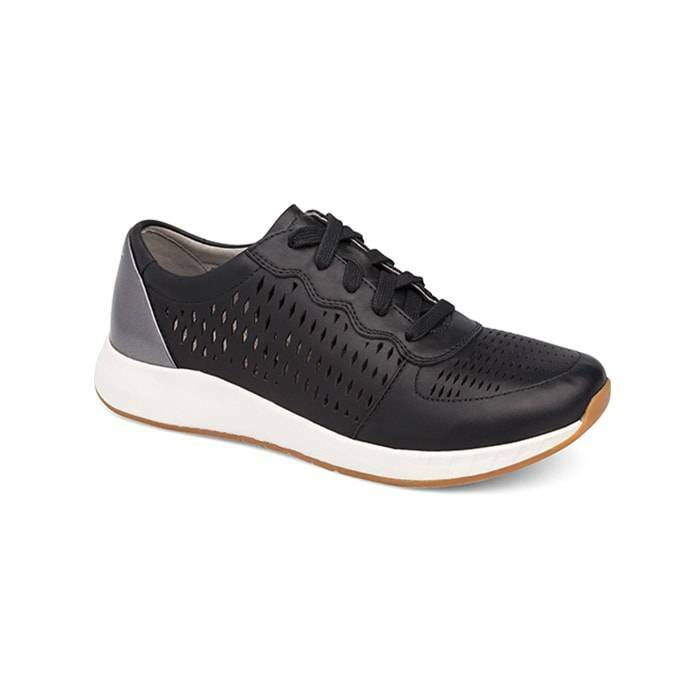 Looking for a casual sneaker that is stylish, comfortable and accommodates most orthotics? 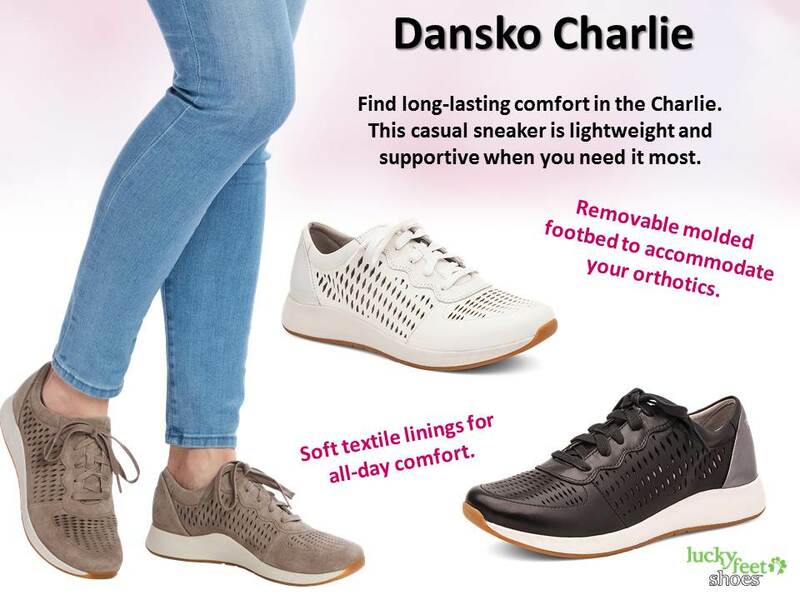 Dansko just introduced Charlie, a perfect casual shoe that fits the bill just right! The Charlie is just stylish enough to wear with most casual outfits and sporty enough for a year-round look. Find out why these could be the most comfortable sneakers you’ll ever own! Charlie is a shoe that gives you a comfortable sneaker feel without the sneaker look. Compared to most sneakers, Charlie stands out for its perforation detail. Its diamond perforations give you a relaxed look while helping maintain your feet fresh and cooled. Would you agree sweaty feet are an annoyance to deal with? So why let perspiring feet ruin your day when you can avoid it by wearing shoes with breathability perforation? Charlie will also keep you comfortable and supportive thanks to its contoured footbed. It is contoured to help improve your foot, arch, and heel support. In addition, its deep cushioned heel cup cradles your heels and keeps natural cushioning under your heel bone. 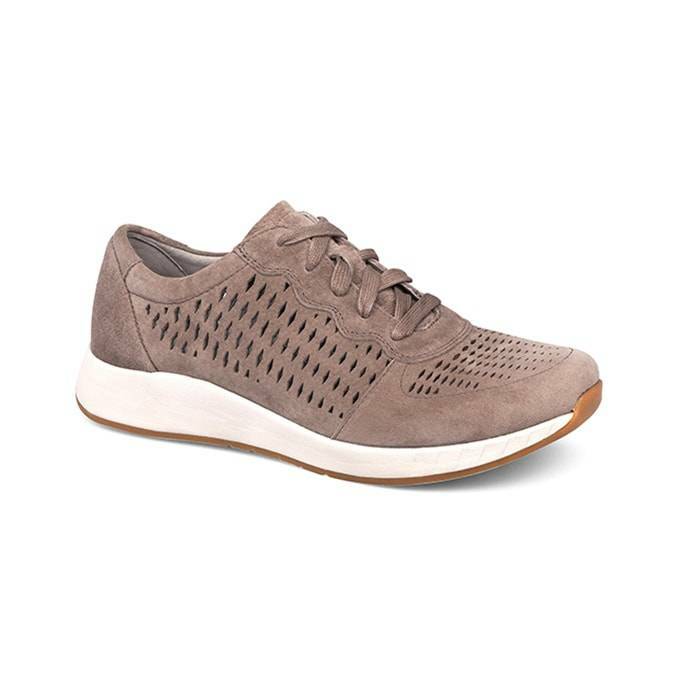 Wear this casual sneaker to the office, out shopping or during errands; the shoe will not disappoint you. You’ll experience extra support and amazing comfort with every step. So far, we know that Charlie provides incredible comfort and support. However, if you require extreme support from custom or over-the-counter orthotics; Charlie’s footbed is removable which accommodates most orthotics. Not many casual sneakers accommodate orthotics, whereas Charlie is one shoe that does. Finally, Charlie is made with a durable rubber outsole for improved traction which minimizes your chances of slipping. The shoe’s rubber holds tight to most surfaces so you don’t have to worry about slipping. In addition to slip-protection, the rubber also absorbs your foot strike, resulting in smoother steps when walking on hard surfaces. Try on a pair of Charlie’s and enjoy long-lasting comfort in style. We carry most sizes in three popular colors: Walnut Suede, Black Leather and White Leather. 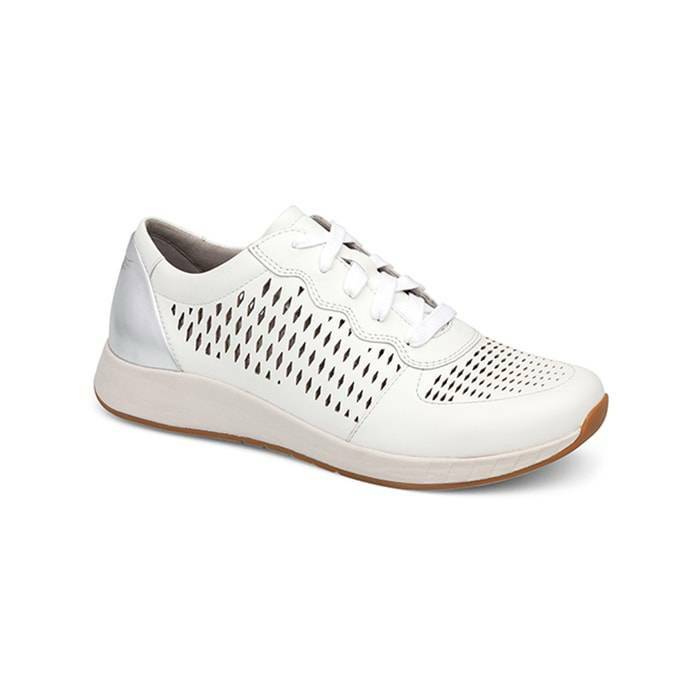 This casual sneaker is lightweight and supportive when you need it most.